JIMMY Floyd Hasselbaink reflected on a ‘difficult period’ for his side, after QPR fell to their second league defeat in a week – this time to Sky Bet Championship leaders Huddersfield Town. After Tuesday’s 6-0 reserve to Newcastle United in W12, Rangers were on the end of a 2-1 loss this time around, after goals from Kasey Palmer and Elias Kachunga were enough to secure victory for the hosts. Substitute Idrissa Sylla gave the R’s hope when he scored his first goal for us with 14 minutes left on the clock – but it was ultimately a consolation strike. 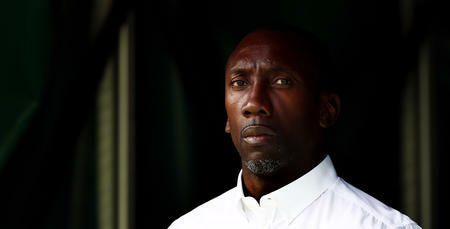 “It was very difficult – confidence was low,” Hasselbaink told www.qpr.co.uk. “The players need a lift. “I must say that Huddersfield are a good side. But the performance was not the one we expected. “We were second best. We didn’t get the reaction that I thought we would get [after Newcastle]. “In the second half, we had to change and put two fresh players on. 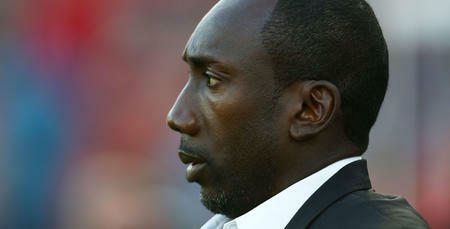 Hasselbaink continued: “We are in a difficult period. When you are not used to losing by those numbers (in reference to the 6-0 loss to Newcastle), it hurts. “As staff, we need to lift our players; we need to lift their heads. Confidence is low, but that can change in an instant. Only we can fix the situation we’re in – no-one else. Despite his disappointment at the performance, Hasselbaink was happy for recent capture Sylla following his first QPR goal, adding: “I was pleased to see Idrissa get off the mark. Rangers return to action on Wednesday, with Premier League Sunderland our opponents in the third round of the EFL Cup. 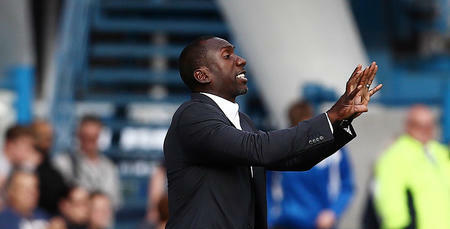 Speaking ahead of the Loftus Road tie, Hasselbaink concluded: “It’s another tough match. “I’ll have to rest a few players, having picked up a few knocks today, and put some younger players in. We were second best. We didn’t get the reaction that I thought we would get.